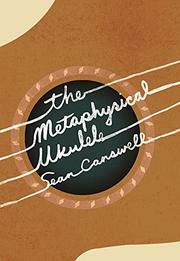 In each of these 12 stories, Carswell imitates the style and/or preoccupations of another author, using real events from the writers' lives…and also inserts a ukulele—literal, metaphorical, or metaphysical. The authors Carswell chooses to imitate include, among others, Herman Melville, Jack Kerouac, Chester Himes, Flannery O’Connor, Raymond Chandler, and finally (with a glance at a literary legacy of his own making?) Carswell himself. The stories aren't told from the points of view of the authors, but rather, the authors are characters in the stories. We are informed, for example, that Melville was a “brilliant ukulelist” and that he’s erotically transfixed by Fayaway, a character from Typee, his first novel. In “A Place Called Sickness,” Flannery O’Connor is enamored of Erik Langkjaer, Danish textbook salesman, who visits her as she’s playing bluegrass songs on her ukulele. One of the most successful stories involves Raymond Chandler, whose distinctive noir idiom Carswell comes close to capturing. It seems a ukulele is missing, and Chandler needs it to overcome writer’s block as he’s trying to finish his script for The Blue Dahlia. The narrator is a sleuth, hitting a bar and trying to find the ukulele and "get the writer writing." The final story is about a 7-year-old named Sean Carswell, and it’s a bagatelle concerning misbehavior at school, especially involving a mildly indelicate version of Mother-May-I that all children have indulged in. Paradoxically both wacky and thoughtful—an odd mix.